Baba Baa is a solo enterprise started by Lee Jiun, a Malaysian mother of two living abroad. 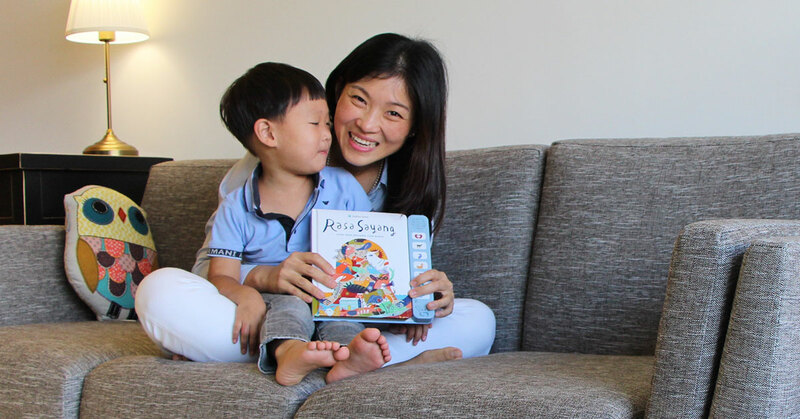 She currently creates and sells children’s button song books with a focus on Malaysian, Indonesian, and Singaporean nursery rhymes. Lee Jiun operates out of Taiwan, but ships her books to Malaysia, Singapore, and Indonesia. When the world started living by the internet, globalisation accelerated and everything changed—for better or for worse, depending on whom you ask. Suddenly, information you never knew you needed was accessible at the push of a button, and content from all around the world could be had just as easily as buying an ice cream. This is especially true today, where internet speeds are faster than you know what to do with, and with more and more content being created by legions of YouTubers, educators, singers, and other individuals all over the globe. In Malaysia, children, teens, and adults all increasingly pay more attention to foreign YouTube stars, listen to more international artists, and learn remotely from teachers and lecturers based in countries hundreds of miles away. Many upsides to this no doubt, but the consequences are clear: when was the last time you heard a child talk about Sang Kancil, or a music lover express their love for P. Ramlee? This is why Baba Baa founder Lok Lee Jiun, a former lawyer and Taiwan-based Malaysian mother, decided to play her part and do something about it, at least for children. 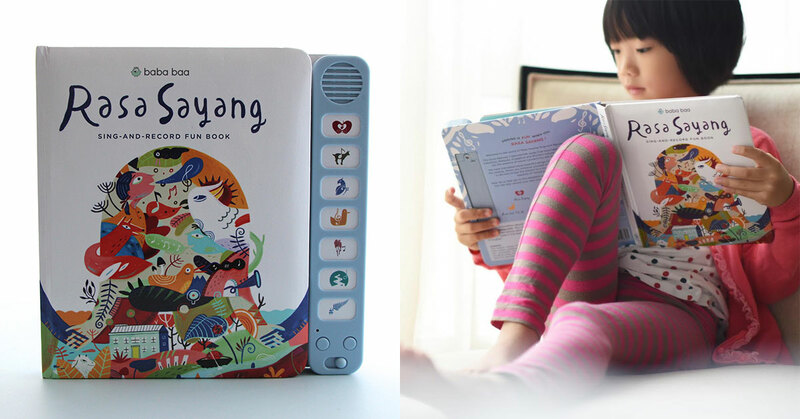 That book was called the Rasa Sayang Sing-and-Record Fun Book—an illustrated children’s song book with an audio module that allows parents and their children to listen to and record themselves singing along to nursery rhymes. This pretty much borrows from many other audible nursery rhyme books in the market, but Baba Baa’s is a rarity in that it purely focuses on rhymes and tunes from Malaysia, Indonesia, and Singapore. Songs like Rasa Sayang, Burung Kakak Tua, Chan Mali Chan are present and accounted for (there are seven classics in total), with English translations also provided so non-native Malay speakers can learn and pick up on the meanings behind the original lyrics. Image Credit: Baba Baa and @erinmalekofficial on Instagram. 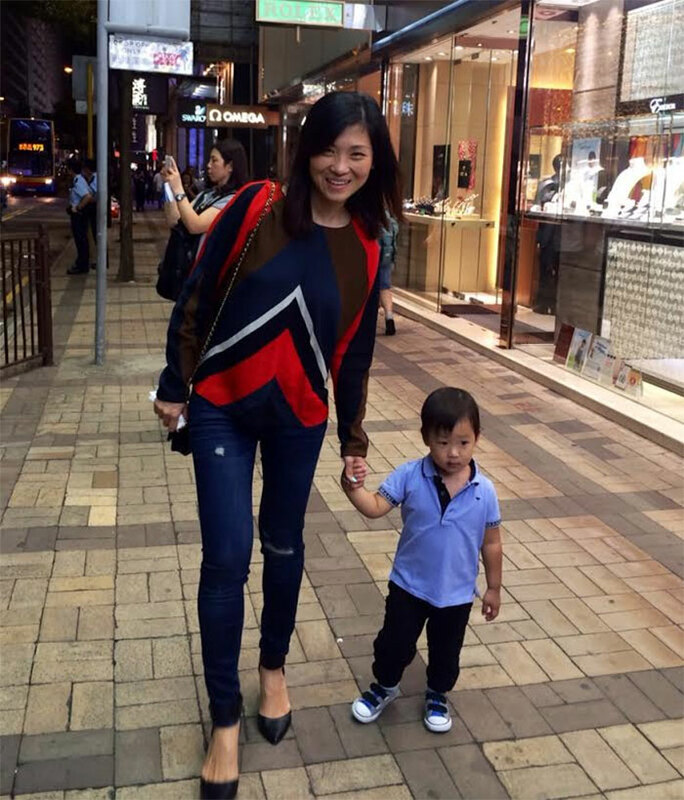 Right now, Baba Baa is run under the ownership of a company in Singapore while Lee Jiun takes care of all operations from her residence in Taiwan, including product design, web design, sales, and marketing. For Lee Jiun, the main challenge she faces in trying to grow her business is the limited time she has to split between being a businesswoman and a mother to two kids. But in spite of the sacrifices made, Lee Jiun thinks that the positive feedback she’s gotten from her customers has made it all worth it. Currently, Baba Baa sells its books online to three countries—Malaysia, Singapore, and Indonesia, and works with a number of online influencers to get the word out on its product. But for Lee Jiun, Baba Baa plan to do more, with three more products slated to be introduced in 2019. What exactly can we expect? All Lee Jiun will tell us is that out of the three, one of them won’t have anything to do with books. Guess we’ll have to wait and see, then. For more info on Baba Baa, check out their official website or Facebook page.